This model is 185 cm and wears a size M/M. Their chest measures 102 cm and the waist 80 cm. Feel comfortably covered from warm up to cool down. 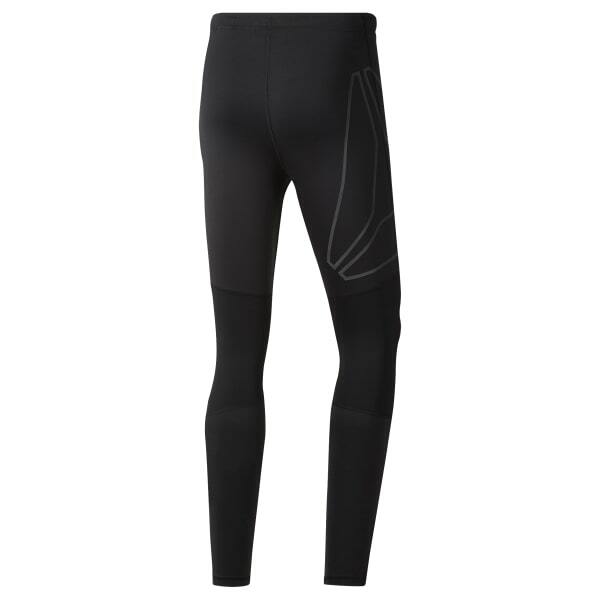 These men's fitted running tights are made of Speedwick fabric designed to pull sweat away from the skin. Mesh panels provide maximum ventilation and breathability, while reflective details offer enhanced visibility on low-lit runs.